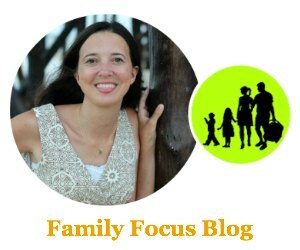 I recently published a post on Marriage Advice from those married over 10 years. I think every once and a while we can all use some pointers! 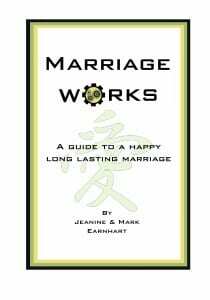 One of the people who wrote to me with marriage advice, Jeanine Earnhart and her husband, married 42 years, have a self-published a book called “Marriage Works.” They were recently featured in the Wall Street Journal, on The TODAY show and in Huffington Post. With such a great guide to happy marriage, I just had to feature their marriage advice here. As we have mentioned, the perfect marriage does not exist, all the time. There are perfect moments during a marriage, and times when you don’t think it can get any better, but to assume this blissful feeling is going to last without continuing to work on the marriage, is not a good formula for a lasting marriage. If someone tries to tell you there is such a thing or how to achieve one, they are not being honest with themselves or you. A perfect marriage implies an end result; a finished product which goes against our theory that marriage is an ever changing, ever growing living entity. Marriage is a verb, not a noun. Although there is no perfect marriage, there is a still a big difference between a marriage and a good marriage. Many people have been married for years, but can’t tell you the last time they had a meaningful conversation. Some couples evaluate their marriage by the length of their union. Being unhappily married for 25 years is not a good marriage, it is an endurance test. If you are going to be together, why not enjoy it? Life is too short to be miserable for the rest of it. We think a good marriage is an ongoing process of growing, changing and learning. Realizing that both partners are going to grow as individuals over time, helps us in understanding and accepting that marriage will also be ever changing. This can be good. Changing and growing together is better. When you are not aware of the differences happening around you, you will be surprised to wake up one morning and find your spouse is not the same person you married. It may seem to have happened overnight, but change is a gradual thing. While change is a constant companion to a marriage, there are some things that shouldn’t change. The basic ingredients or constants that should always be present and counted upon are the foundation pieces for a good marriage. We have found several basic ground rules that serve as the glue holding us together during the good and the bad times. Every marriage has their own brand of glue and we all need to customize our rules to work for us, but these are some basic assumptions we can count on from each other. The desire of both partners to be with each other for the rest of their lives is commitment. It means not having the option of quitting when things get rough, or fat, or poor or boring. Too many people get married with the idea that marriage is constant bliss and when it isn’t, they feel the marriage is a failure and quit. Commitment is an agreement to stick with it through thick and thin. This sounds pretty basic, but you’d be surprised at how many people haven’t really consciously thought about this. Two people who plan to be married their entire lives need to be sure that this is what they want and are ready to follow through. You are only fooling yourselves if you are not being honest with your partner. Honesty needs to be there from the smallest things to the biggest things, and all “things” in between. If little white lies slip by, it is just a matter of time before you’re comfortable with the big ones. Trust is unfortunately one of those things you either have or don’t have. If you don’t have it, there is usually a reason from past experience. We have seen people develop trust over the years where they had not previously been able to, so it’s a “Good Marriage Ingredient” that can be worked on if not there at present. The best advice is not to lose someone’s trust in you to begin with. Respect will often times takes the place of love when it is temporarily absent in a marriage. Keep in mind that even a good marriage between two people consists of falling in and out of love with each other many times over the years. During those “out of love” times, respect can be a bridge to the next falling in love stage, or act as the filler until the love returns. It is as important to grow on an individual basis as well as on a couple level. Just as a good marriage changes and develops into new shapes and forms, so should each person in his or her own unique way. Much of the respect that is needed to get us through the hard times come from the individual growth that has gone on throughout the marriage. One of the skills necessary to a good marriage is compromise. When one person is making all the decisions, you have a dictatorship, not a marriage. Learning to compromise means that you will not always have it “your way”, understanding that your turn is coming! Compromising means both people making concessions to improve the whole. It does not mean giving up your individuality or not standing up for your principles. It does mean, in certain areas, giving in a little. A good marriage does not come without work. Emotional work. It is working on yourselves as individuals and together as a couple. It is taking time from the fun things about marriage to work on the weak spots that come up. Just like anything else that is growing and changing, a marriage needs to be maintained and cared for with effort. Ya gotta have fun! Somewhere, between the serious talks, the passionate feelings, the growing and changing, you just have to laugh! If it’s not fun, what is the point? As we try to blend the beliefs we have in common, like those mentioned above, with the differences we have, we all stumble occasionally along the way. But a good marriage can recover by acknowledging the problem and working on it. When we stumble, we can realize that we are human, maybe even see a little humor in the situation and give it the energy it needs, nothing more. Our other option is to pretend it didn’t happen. Shoving it under the carpet where it can hide and grow is asking for trouble down the line. There really is no such thing as a perfect marriage. But a good marriage under constant remodeling and repair, is not only possible, but also fun. “It gives me confidence and support to know that Mark and I both agree on these points. Not only because they help us through our marriage but we both believe in them. I know that Mark is, for example, honest with me because that is who he is, not who he thinks he should be to keep our marriage going. These points all seem to feed on each other for me. Honesty creates trust; trust creates respect, and so on. Knowing that we both are working with the same set of rules assures me that there are going to be fewer surprises down the road. There will always be bumps in the road and a major pothole here and there, but I think because we’re both on the same page, we see them coming and are more prepared. In my opinion, a good marriage is one that nurtures and supports both people involved. It is a good marriage that acknowledges and nourishes the differences between the two partners. I see Jeanine’s and my differences as one of our biggest strengths. We have many differences that compliment each other. For example…I’m an early riser. I go to bed early and get up at the crack of dawn. Jeanine, the night owl, stays up late and sleeps late. This gives us both time to ourselves and creates our own space that we talk about later in the book. (It does however make for tough vacations!) I have every moment of our vacation planned from 7 am on, but she prefers to relax. Can you imagine? We also have differences that aren’t so complimentary to each other. After we spent a lot of wasted time and energy trying to change each other, we’ve realized that accepting these differences and working around them create a good marriage. I am quick to anger and quick to say I’m sorry. Jeanine is slow to anger and even slower to say I’m sorry! I’m not going to change Jeanine’s makeup, nor will she change mine. We have adapted a little here and there in that I try not to be so quick with my reactions and Jeanine has learned to vent a little along the way, but for the most part, neither one of us have budged on this issue. Instead, Jeanine has learned to take my negative reactions with a grain of salt and I have learned that when Jeanine blows up about some supposed little thing, it is really a compilation of small angry moments built-up over the last 3 months. What are some of our differences? How do I feel about accepting those differences? What are the most challenging differences between us? 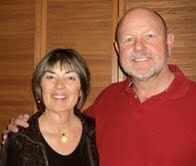 Thanks to Jeanine and Mark Earnhart for sharing Marriage Works, A Guide To Happy Marriage! I hope these valuable pieces of marriage advice are useful and guide you to have and maintain a happy marriage.